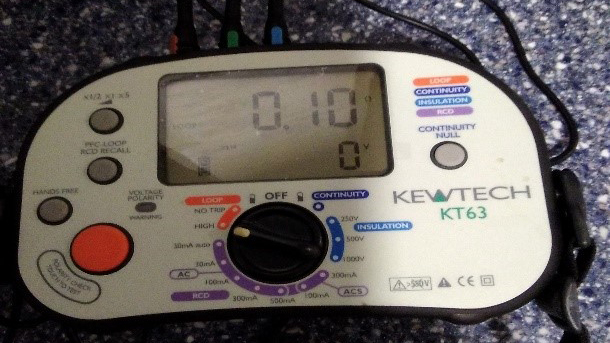 What does residential PAT testing involve? Residential PAT testing for Landlords is a great way to make sure you meet your legal obligations and requirements, in terms of the electrical safety obligations you must fulfill. Here at Walker Electrical, we are Preston’s leading electrical experts, providing a variety of top quality electrical services for companies and businesses as well as residences across Preston and the North West. This includes PAT testing. So what does residential PAT testing involve? And what should you expect? Identifying and testing all of the electrical appliances in your property, including the fridge, TV, microwave, washing machine, hairdryers and lamps. Any electrical appliances that you provide for your residents will be tested. Throughout the testing process, notes and details will be recorded by the professional, qualified electrician. This paperwork will be provided to you at the end of the testing and can be used as proof that you are meeting your electrical safety legal requirements. Why is residential PAT testing a good option? Keeping your tenants safe- faulty electrical appliances are a big source of domestic fires and electrocutions. To make sure all your tenants are safe, PAT testing is a must. Keeping your property safe- malfunctioning electrics don’t just injure people, they also cause a lot of expensive damage to your property. PAT testing can help you find faults before they become a real problem. For more information or advice, get in touch with the professionals today, here at Walker Electrical. When should you consider a thermal imaging survey?